Well, I've still got Shetland on my mind, but I am trying to be diligent to finish up the projects I promised in trade for all those Alpaca fleeces. Of the four chosen specifically for sample projects, I have finished two, the felted Alpaca doll, and the knitted child's cap. I've decided that the next project needs to be a handwoven one, so the preparations have begun. The fiber is soft, with a vague crimp at about 5 per inch, with no grease or luster. It contains very little VM (vegetable matter), no bugs, mud, or other biological nasties. It is very open and very easy to work with. Being mostly about three inches in length, it would have been a good choice for handcarding. However, I need to press on with this project, so I ran it through my drum carder twice, and then it was ready to spin. Since I was planning to weave a teddy bear shawl of this on my triloom, I wanted a bulky yarn. The cap is knitted in a medium weight handspun, so I figured this one will be bulky weight, and then the last one will be finer. Had I accidentally gotten oil on them when I oiled my wheel? Hmm. I need to be more careful. I washed my hands and resumed spinning. Much to my surprise, a little while later they were dirty again. That's when I realized that just because the fleece wasn't greasy, didn't mean that it wasn't dirty! Most of my spinning experience has been with sheep's wool (always with at least some grease and the dirt which sticks to it) and Angora rabbit (never greasy and rarely dirty with actual dirt.) The only other raw alpaca I've handled was from Florida so it was sandy. These are from North Carolina however, and while the first two were a little dusty, this one is downright filthy! So I've learned something important here. Had I realized this before I started spinning, I would have definitely washed the fleece first. However, since I was already in route, I chalked it up to "I'll know better next time" and finished the yarn. After I finished spinning and had skeined the yarn, I gave it two thorough, very hot soapy soaks and three hot water rinses. I was delighted at how lovely the fiber was under all that dirt: very soft, silky, and with some luster after all. The singles for the yarn on the left were spun at 14 wraps per inch. The 2 ply measures 7 WPI. Next will be the weaving of it. More on that and how it turned out here. OMG!!! That is the most beautiful yarn! It looks like chocolate, which is always appealing to me. :) But the shine and consistency is simply stunning and I can imagine that it will weave into something very soft and sleek. Well done!!! A teddy bear shawl? I love the sound of that! Is it a shawl for a teddy bear? A shawl with teddy bears on? A shawl in teddy bear weave? If there isn't a teddy bear weave then it is time to invent one, I think. Hi, I spin alpaca almost exclusively and used to wash all my fleeces. Now I just like to wash the white ones unless the dirt is really bad and yes my fingers are black like yours but it washes out quite nicely! Alpaca combs beautifully too if the staple is long enough. Your spinning is beautiful Leigh. I had the same experience (of the black fingers)with the very first Alpaca I spun...and boy did it make for some dirty water, but the finished yarn was lovely. Those Alpacas and their dirt baths, they are as bad as chickens! Thank you Annie! You're right, it does look like chocolate. Cally, you were correct with your first guess, it's a shawl for teddy bears. I only hope I can find one (all our stuffed toys are paced away) to take a photo! Cinnabar and Cyndy, I appreciate your comments! It's nice to know this wasn't just my particular fleece. 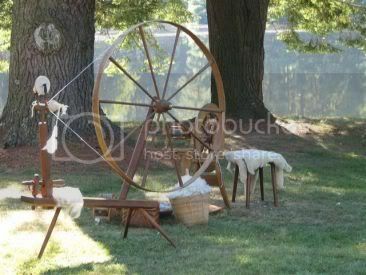 I used to think I would never spin a dirty fleece, but I'm realizing that the thing I really object to is the grease. I definitely do not want my wheel gunked up with grease. It was a delight to see how beautifully this yarn washed up. I will have to try combing some as well, as I have some that is longer. Now that I'm getting the knack of spinning alpaca, I'm really enjoying it! What a beautiful color. It also looks so soft. Well that is going to be a very lucky bear! I see that alpaca passes the "cat" quality test for softness, aroma and potential comfort! It's obviously just as lovely close-up as it looks in your photos. I just curiously read your post about spinning alpaca, and could say that I had exactly the same experience. I purchased 11 kilograms of raw alpaca fleece in a number of colors (white, chocolate, black and shades of those). They all looked perfectly clean of vegetable matter, but once I started spinning, it was a different story. Hands like a chimney sweeper. Seeing that, I have washed half of it in a pillow case on the low temperature in the washing machine, while the rest was carded dusty and dirty and I still have to spin it all. Seeing what lovely yarn comes at the end, 100% alpaca, soft and fluffy, I have never regretted the exercise. I have to write that story on my blog, and this was a good reminder of the story I missed. Happy weaving, and let us know what comes off the loom. Olinka!